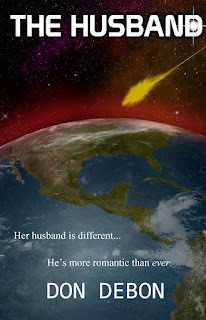 The Husband is a Science Fiction Romantic Action & Adventure novel. A bit different than my previous published works. It is currently available for $2.99 in Kindle, Nook, Kobo, iBooks, Googleplay, and Smashwords editions. The print edition is available at Amazon, B&N, or anywhere books are sold. One night Erin's husband returns a changed man. He walks like him, talks like him, yet is treating her better than he ever did before. No one believes her, leaving Erin alone to find out the truth. Truth that could have dire consequences for the entire human race. What happened that caused him to change so radically? The drive to Top Point was uneventful, but enjoyable. Jack talked about work and the upgrades going on at the sawmill. What some of the guys were up to. She wondered what happened to Jack that changed him so much. He didn't used to talk this much about the guys or work. Granted he thought it would bore her, but to the contrary, she always wanted to know about his life. She also ached for so long to be more apart of it. Now here he was doing exactly that, and she didn't know what to make of it. "Earth to Erin ... Earth to Erin come in Erin." She slapped him playfully. "Will you stop!" "Well you weren't here with me, that is for sure. You looked like you were million miles away." "Oh. I was thinking about a dress Jane was working on. That's all," she lied. "Hmm, here I am talking about the guys and if I should go with them to the big game next week, and you are thinking about dresses? I didn't know I was that boring." She grabbed his hand and squeezed. "You aren't! You get that thought out of your head this instant. I love it when you talk to me. Please don't ever stop." Jack laughed. "Okay, you convinced me. You know I never could resist that look." Erin's face cracked into a lopsided grin. "What look?" Jack laughed. "And there is another one. Geez, you have a bigger arsenal than our country does of nuclear weapons!" "Only for you my darling." "Good thing. Ah here is our exit." Jack said as he turned the wheel. A few minutes later they were driving in a ocean of parked cars. "See a spot?" "Yes, I think I see one in the next row over," Erin said pointing. "Ah, I see it." Jack guided the truck into the narrow space. They walked to the front gate and Jack pulled out his wallet. Erin gulped when the price was quoted, but Jack didn't even flinch. He even paid extra for the VIP pass, and gave one to Erin. "Be sure to wear that all times." The man in the ticket booth said pointing to the passes. "They allow you to access the express lines or jump to the lead of others if there isn't one. They also will get you two free meals. Simply have the cashier scan the pass." Jack nodded. "Thank you. Have a good day." Erin pulled him away and whispered. "How much did you spend on these things?! I didn't even know they had VIP here." "Neither did I, but when I saw the perks, I couldn't resist. We will make good use of them today." "Erin, I told you before, this is my treat. Don't worry about it. And before you ask, yes the mill is doing well. It is not going under. This is not a last hurrah. I am trying to make it up to you for yesterday. Will you please let me?" Erin sighed. "Sorry, I guess I am not used to you spending money like that is all." Jack's eyebrow raised. "Am I that bad?" "Let's just say that you could give Scrooge a tip or two." "I am not that bad." "True, you are worse," Erin said with a smile. Jack squeezed her hand. "You are going to get it." "Nope, that's a guarantee. Once I get you home that is." Jack winked. Erin's grin widened. "I am looking forward to it. Now which ride shall we do first?" "How about the teacup?" Jack pointed to the teacups spinning around on a raised platform a few yards away. Erin's eyebrows met. "Teacups? I thought you might want to ride The Warp." She pointed to the large roller coaster on the other side of the park. "Well I know coasters are not your thing," Jack chuckled. They stood in line but as soon as the operator saw the passes hanging from their belt loops, he motioned them to come to the front of the line. The ride stopped a moment later and they hopped into one of the large tea cups, and shut the door. Erin slid up next to Jack and he put his arm around her. The cups started up and they spun around the floor with increasing speed. Erin held onto Jack. They watched the world spin around them and smiled. When the ride stopped, Erin stood up then fell backward into Jack's lap. "I told you, not until we get back home." He winked. "Very funny. I lost my balance for a second is all." She stuck her tongue out. "Careful Mrs. Winecker. Them's fightn' words. I might make use of that tongue." He said closing the distance between her face and his. She hopped up and left the tea cup before he could. "Oh you are going to get it." Jack grinned as he stood up. "Promises, promises." "Oh you will, trust me. Now where to next?" "Up to you my love. I drove us here, now it is your turn." "Hmm, how about that Haunted House ride. If they still have it?" Jack nodded. "Sure, that will be fun." They wandered around, and after a bit found the Haunted House. The line was huge going around the building. But once again their passes came in handy. They were in the little car heading inside the Haunted House in less than five minutes. "I have to admit, those passes were a good idea." Jack leaned forward. "What's that? I couldn't hear you. I thought you said I was right." She slapped him playfully. "Oh hush you." After the large double doors snapped shut behind them, various realistic projections of creatures appeared. One even shot into their little car. Erin forgot about that and she jumped into Jack's lap and threw her arms around him. He could feel her heart pounding next to his. "Hmmm I am going to have to remember this ride, and come here more often," he said with a sly smile. Erin squeezed him then laughed. "Oh I love you." He gave her a squeeze back. "Ditto." They rode all different kinds of rides throughout the day. Some were fast, others were more like attending a show with special effects than a ride. For lunch they decided on tacos, and while included with their tickets, Jack paid anyway. Erin's eyebrow went up and she tilted her head but didn't say anything until they sat down. "Why didn't you want to use the pass?" "Because I don't think that vendor is included in the deal. Besides, he has a family of four to feed." 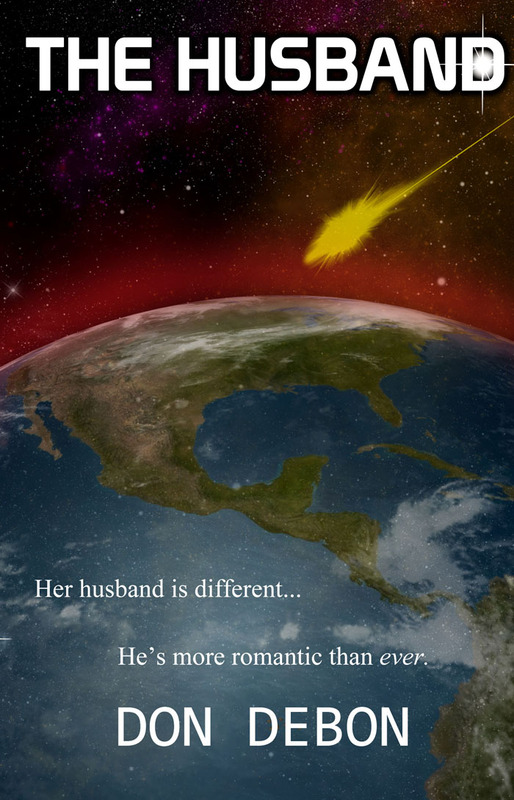 Erin's eyes went wide as she leaned forward. "How do you know that?" "Remember when you went to look for napkins? He pointed to the extra cheese on my taco and said his kids did the same thing. All four of them." Erin nodded as she bit into her taco, but wondered as she didn't recall them having a conversation. Granted it was noisy, but she wasn't that far away. She swallowed and wiped some sauce from her chin. "What would you like to do next?" "I told you, you are driving. You tell me." Jack grinned, then took another bite from his taco. Erin shook her head. "Nope you have let me pick all this time. Now it is your turn." "Okay then, The Warp it is!" "What?!" Jack sputtered sending two bits of taco that landed on his paper plate. "You heard me. Don't think that I haven't noticed the looks you keep giving it. It's the only thing in this park that gets that look, except me!" "Well ..." Jack looked down at his plate and moved it around with a finger. "I do admit, I would like to ride it someday. I mean, it has the latest in linear induction technology. You don't get drawn up by a chain to a high peak, then dropped. It blasts you out of the gate! That must be wild!" With Jack's enthusiasm for the ride, and that he was willing to put it off for her, only made her smile grow. "I'm sure." Jack took her hand into his and squeezed. "Are you sure? I mean, I know coasters are not your thing." Erin nodded. "Yes I am sure. And if you think you are going in that thing, without me, you have another thing coming!" "But I was just thinking--"
"I know what you were thinking, and while I could wait on the sidelines. I will not be thought of as the wimpy wife that waited on the side while her husband rode The Warp." Jack grinned. "But no one would ever--"
"Uh huh, I can see the watercooler conversation at the sawmill now. No way!" She leaned forward and kissed his lips tasting a speck of sauce he missed. "I know you wouldn't. But I couldn't help teasing. However, I'm still riding with you." Jacked watched her unwavering gaze, and he sighed. "Guess I am not going to win this am I?" "Nope." Erin popped the last of the taco into her mouth and munched. "Not a chance." Jack stood up, picked up their plates and threw it into the trash. "Let's head over. I am sure there is a long line." She looped her arm into his. "Right with you." The line reached around the main entrance three times. Even with their passes, the wait was over fifteen minutes before one of the small two seater trains were available. They climbed in, the attendant lowered the shoulder harness, and locked them into place. "Please remember to keep your hands inside the vehicle at all times." They nodded and he returned to the control booth. A voice boomed over several loud speakers. "You are about to enter The Warp. Prepare for launch ... 5 ... 4 ..."
Jack grabbed Erin's hand and squeezed. "This is going to be fun." Erin swallowed hard. "Yeah right." "3 ... 2 ... 1 ... LAUCH!" Powerful, unseen, linear induction motors powered up and they were shoved back into their seats as the small craft shot out of the gate like a cannon ball. The craft curved as it followed the track, then spun several times entering a corkscrew. Erin shut her eyes. "Just tell me when it is over!" The train continued on spinning, throwing them upside down, then back again in an eye blink. "Ohh I wish I didn't eat that taco!" Two minutes later they were slowing down and heading back into the building from the opposite side. But suddenly, instead of breaking, the induction motors kicked in accelerating them at top speed. It shot them back out of the building before the operator could blink. With the added inertia, the train hit a sharp turn at speeds far beyond what the designers has intended. It jumped the track and went hurtling towards a brick wall at the start of The Warp enclosure. "Jack!" Erin screamed and shut her eyes again. They hit with a loud bang and the car crumpled. The smell of sulfur stung Erin's nose as bricks and mortar rained down around them. When the dust settled, Erin opened her eyes. The train's front had crumpled, but stopped a nanometer short of touching them. She looked over at Jack. His face was ashen as he turned towards her. "Are you okay? Please be okay." Erin coughed. "I am okay. What a ride!" Jack threw back his head and laughed. "Oh what a wife I have! I love you."